Invisalign® is an innovative approach for those looking for a more flexible alternative to traditional braces. You have the freedom to enjoy the foods you love, the trays are easy to remove for cleaning and eating. Why should you consider utilizing Invisalign®? Straight teeth offer more confidence and contribute to an overall healthy mouth. At Zaytoun Orthodontics, we believe that everyone should have the chance to have a beautiful, straight smile. Our three, flexible, in-house payment options are geared towards helping make the cost of Invisalign® affordable. If none of these fit your needs, we’re happy to offer third-party financing with minimal down payments for qualified applicants. Though the length of your treatment depends on your case and your treatment goals, the average amount of time for an adult takes about 12 – 18 months. Zaytoun Orthodontics recommends that you wear your aligners from 20 to 22 hours a day, so you’ll see significant improvements along the way! Invisalign® Reviewed by Dr. Henry Zaytoun Jr.
“Doing orthodontics with plastic is a very different way to move teeth and create that beautiful smile. Dr. Mary Paula and I have incorporated all our orthodontic skills and knowledge in our aligner treatment plans in order to give our patients the best possible results. We love being able to help our patients get that smile they have always wanted without braces!” – Dr. Henry Zaytoun, Jr.
You’ve got a lot going on, which is why Invisalign® is designed to fit within your lifestyle to never slow you down. Join in with your peers and be proud to take that selfie, after all, your smile is worth bragging about! Created to be easily taken out for daily eating, brushing and flossing to blend with your active lifestyle. 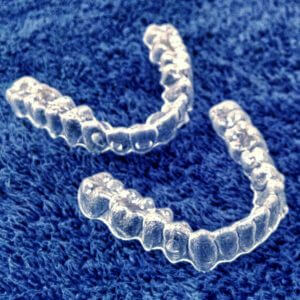 Invisalign® braces are also virtually invisible, so you can feel comfortable wearing them all day long. At Zaytoun Orthodontics, we understand that traditional metal braces can make it difficult to keep your teeth clean, which is why an Invisalign® treatment is so innovative. Each Invisalign® aligner is custom molded to your teeth, so it will fit snugly to provide the right amount of pressure for best results. 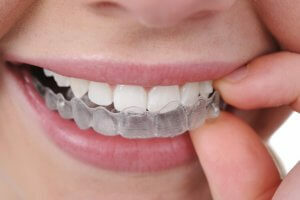 Invisalign® braces also have a smooth, comfortable plastic surface that does not irritate gums and cheeks like traditional brackets on metal braces. Engineered to move teeth horizontally, vertically and even rotate teeth, the Invisalign® aligners are capable of correcting a variety of cosmetic dental conditions so that you can have the smile you’ve always dreamed of. If you’re looking to fix overcrowding or gaps between teeth and want a solution that’s virtually invisible, look no further than Invisalign® at Zaytoun Orthodontics. We get to know you on a personal level, and we understand what a difference it can make to feel confident due to your smile. We’re honored to be a 2016 Premier Provider of Invisalign® and possess the knowledge and skills necessary to recommend the perfect treatment for you.Zaytoun Orthodontics is different than other orthodontists because we pride ourselves on providing superior patient care and delivering satisfying results.